Beach Front on Singer Island is a gated community, built in 2007, where one can find beautiful townhomes and/or condos at a great location. This property contains two 8-story buildings comprised of townhomes and a 20-story building comprised of 51 condos. 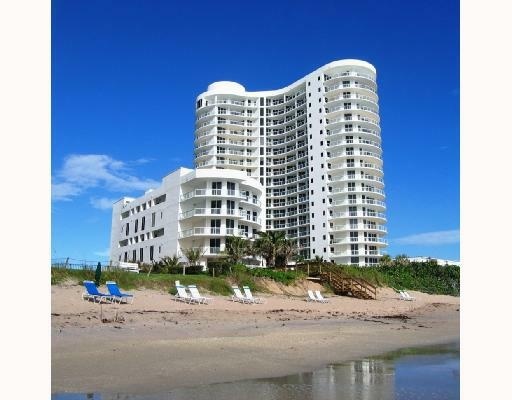 Each unit has amazing views of the Ocean and Intracoastal Waterway. With two, three, and four bedroom unit floorplans to choose from, residents can find the style that suits their needs best. Spacious floorplans are plentiful, as units range from 2,400+ square feet to 4,000+ square feet. Residents can enjoy the community’s oceanside infinity pool, theater room, fitness center and on-site concierge, while having the comfort of 24 hour manned security.